Pasquale Jones is an offshoot of Charlie Bird. The mostly Italian restaurant serves very good pizzas, variations on the theme of pasta, and grilled and roasted meats. Pasquale Jones, 86 Kenmare St., New York, NY 10012, 917-472-7230. The New York City outpost of Indian Accent, one of the most acclaimed eateries in Delhi, if not all of India, is helmed by chef Manish Mehrotra. The menu includes a few fixed-price options, including a chef's tasting menu. The elegant restaurant's wine list proposes some nice options from India. Indian Accent, 123 W. 56th St., New York, NY 10019, 212-842-8070. Café Altro Paradiso is the second restaurant from Estela duo chef Ignacio Mattos and Thomas Carter. This SoHo eatery serves classics from the tip to the top of Italy. Chef Mattos makes a few changes to tradition, though, putting lard (instead of guanciale) and spaghetti alla chitarra rather than bucatini in his carbonara. Café Altro Paradiso, 234 Spring St., New York, NY 10013, 646-952-0828. A new outlet of Taqueria Diana has opened in Hell's Kitchen. With locations in the East Village and Chelsea as well, the Mexican spot continues to create the best (and most mountainous) nachos this side of the Mississippi River. Taqueria Diana, 524 Ninth Ave., New York, NY 10018, 646-684-4541. Chef John DeLucie has a new restaurant: Bedford & Co., located in Midtown East and serving up grilled meats and pasta dishes. Bedford & Co., 118 E. 40th St., New York, NY 10016, 212-634-4040. Dewey Dufresne, father of Wylie Dufresne (wd-50, Alder) is working on opening a sandwich shop called BYGGYZ. BYGGYZ, 37-39 Clinton St., New York, NY 10002, no phone. Popular Los Angeles restaurant Sushi Zo is slicing up sushi for raw fish lovers in New York City. Sushi Zo, 88 W. 3rd St., New York, NY 10012, 646-405-4826. 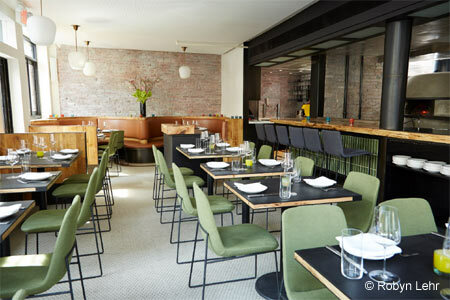 Ken Friedman and April Bloomfield of The Spotted Pig and John Dory Oyster Bar fame have opened Salvation Burger, a casual eatery in The Pod Hotel 51. The thick namesake burger isn't cheap: at $25 it's one of the higher-priced burgers in town. The menu also boasts hot dogs, pies and shakes. Salvation Burger, The Pod Hotel 51, 230 E. 51st St., New York, NY 10022, 646-277-2900. The latest from Mario Batali and Joe Bastianich is La Sirena, an Italian eatery in The Maritime Hotel. The menu features half-moon pasta filled with duck, sweet-and-sour pork meatballs, and grilled swordfish, among other delights. 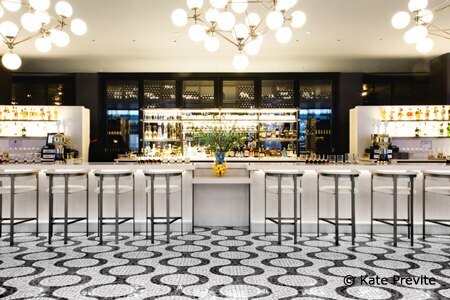 La Sirena, The Maritime Hotel, 88 Ninth Ave., New York, NY 10011, 212-977-6096. David Chang's Momofuku Ko has begun serving lunch, from Wednesday to Sunday each week. Lunch is about the same, give or take a few dishes, as the dinner service, and also costs $195 per person. 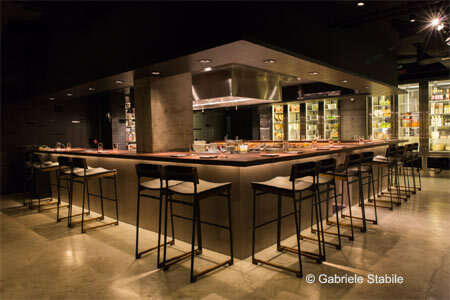 Momofuku Ko, 8 Extra Pl., New York, NY 10003, 212-500-0831. The Cecil chef Joseph "JJ" Jackson has added some new items to the menu, inspired by his recent travels in Africa and the Middle East. Expect to find delights such as tamarind-glazed oxtails, goat dumplings with peanut piri piri, and pan-roasted venison with cardamom celery root. The Cecil, 210 W. 118th St., New York, NY 10026, 212-866-1262. Celebrated downtown cocktail bar The Dead Rabbit Grocery and Grog has a new list of cocktails. Among the handful of drinks that have debuted is the Hair Trigger, which boasts chai-infused bourbon, apple, honey and chipotle, while the Battle Annie is concocted with two types of Irish whiskey, ginger ale and lemon. The Dead Rabbit Grocery and Grog, 30 Water St., New York, NY 10004, 646-422-7906. After stints at North End Grill and White Street, chef Floyd Cardoz is going back to the cuisine that made him renowned. In summer 2016, Cardoz will open Paowalla, a SoHo Indian eatery that will have two tandoors. Cardoz had been the chef of lauded Tabla before it shut down. Paowalla, 195 Spring St., New York, NY 10012, no phone. Dan Kluger, former chef at Jean-Georges Vongerichten’s ABC Kitchen and ABC Cocina, will open his own restaurant at 21-23 West 8th Street. The name has not yet been announced. ABC Kitchen, ABC Carpet & Home, 35 E. 18th St. , New York, NY 10003, 212-475-5829. Massimo Bebber, formerly the top toque at Sirio Ristorante, is the new chef at Le Cirque in New York. Bebber replaces Matteo Boglione, who has returned to his native Italy. This is the third new chef in as many years for the restaurant. 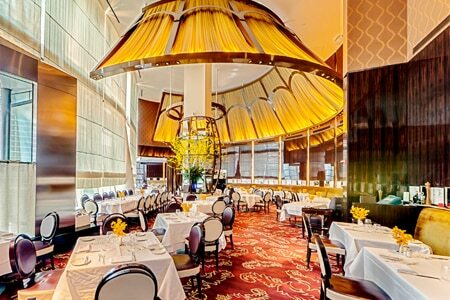 Le Cirque, One Beacon Court, 151 E. 58th St., New York, NY 10022, 212-644-0202. British-born Robert Aikens has taken over as chef of the legendary Rainbow Room. He has changed Sunday brunch to an à la carte menu. Rainbow Room, Rockefeller Center, 30 Rockefeller Plaza, 65th Fl., New York, NY 10112, 212-632-5000. Bark, the popular and creative hot dog stand in Park Slope, has shut down. The owner blamed it on the newly opened and nearby Shake Shack, particularly during events at the Barclays Center across the street. Bark, 474 Bergen St., Brooklyn, NY 11217, No phone. Elan, the restaurant run by David Waltuck (of Chanterelle fame), will shut down at the end of March 2016. Open for around two years, the place just couldn't make a dent in the competitive Big Apple dining landscape. Elan, 43 E. 20th St., New York, NY 10003, 646-682-7105. Northern Spy Food Co., the six-year-old East Village restaurant that helped spearhead the farm-to-table movement in New York, served its last meal on February 17, 2016. The beloved neighborhood joint will be missed. Northern Spy Food Co., 511 E. 12th St., New York, NY 10009, no phone. The only New York City outlet of the international chain Texas de Brazil has shut down. For those hankering for its all-you-can-eat steak, there are a handful of other locations in New York State. Texas de Brazil, 1011 Third Ave., New York, NY 10065, no phone.